Sydney is known for nightlife, trails, beaches, parks, and museums. 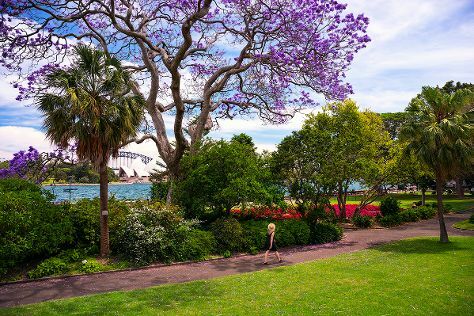 Your plan includes some of its best attractions: wander the streets of The Rocks, kick back and relax at Manly Beach, stroll through Bondi Beach, and listen to music at Sydney Opera House. To find where to stay, reviews, and tourist information, read Sydney trip maker site . If you are flying in from United Kingdom, the closest major airport is Sydney Kingsford Smith International Airport. Expect a daytime high around 25°C in September, and nighttime lows around 14°C. Finish up your sightseeing early on the 19th (Thu) so you can travel back home.